350C operates using low amp draw so they’re versatile for many mobile pneumatic applications. 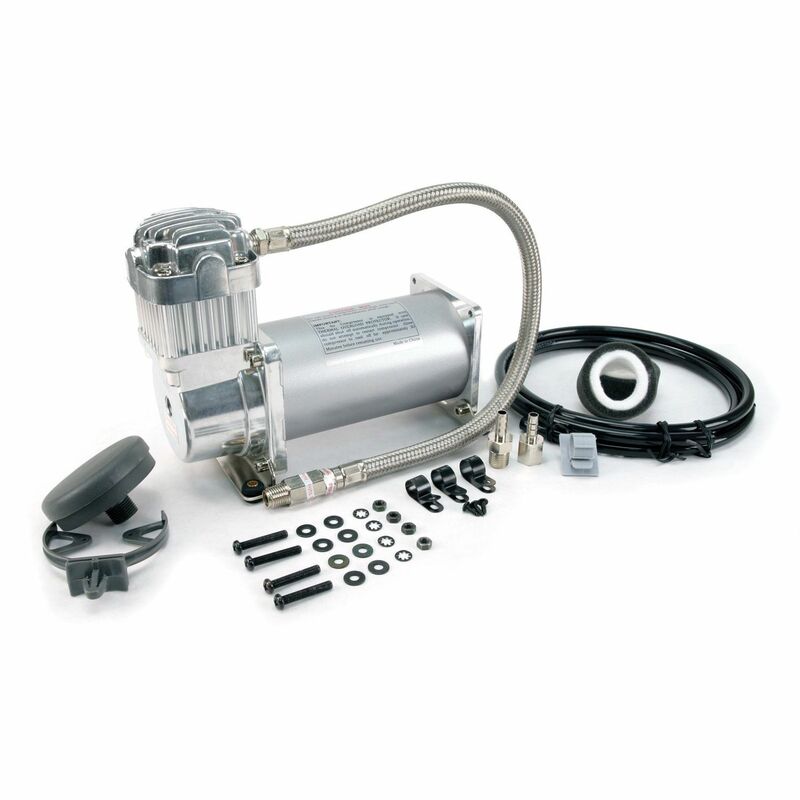 Features include a standard 1/4” NPT stainless steel braided leader hose with inline check valve and insulated wiring for simple installation. VIAIR “C” model compressors are intended to fill air tanks. They are not equipped with an ON/OFF switch or pressure sensitive shutoff device of any kind. The use of a pressure switch and relay are recommended and required. All “C” model VIAIR compressors (except certain 90 & 100 series units) are equipped with a stainless steel braided leader hose and a check valve to keep the compressor from restarting under pressure which can create an amp draw spike and can cause motor damage. Most VIAIR compressors are equipped with a thermal overload protector that will shut down the unit when overheated. When cool, the compressor will automatically restart as normal.